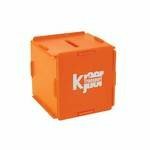 Money boxes printed with your logo are great giveaways for promotions centred around money and savings. 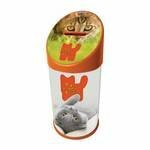 These money boxes will appeal to a wide audience from children to adults who simply want to save their loose change. 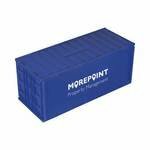 Our promotional money boxes offer the perfect way to promote your business, particularly within the finance industry. Do you work for a bank, building society or other financial institution? Or do you have an upcoming marketing campaign surrounding financial issues? If so, our personalised money boxes will make the perfect promotional gift for you. 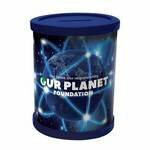 All our promotional money boxes can be printed with your logo or marketing message. Printing can be done in up to four spot colours. 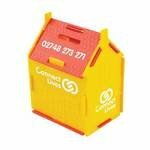 Our personalised money boxes offer a generous print area, providing you with effective brand exposure. If you need help designing the artwork for your printed money boxes, then contact our friendly promotional consultants. We will be more than happy to help. Design and artwork creation is provided free on orders over £750 to a defined artwork brief. Call us on 0800 158 3080 or email us. We will help you every step of the way to make sure we provide the best printed money boxes for your company. Whatever your budget, we can help you find the right promotional money box for you. Our wide selection enables you to pick and choose which colours will best compliment your branding. 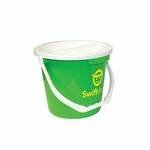 Our promotional money boxes come in a variety of shapes and sizes, so there is something to suit everyone. 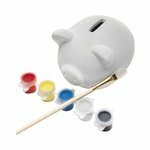 Personalised money boxes make a great promotional gift for children who want to start saving for their future. Saving money is an essential part of life, and it’s a habit that should be introduced to us at a young age. 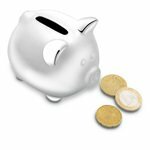 Alternatively, our printed money boxes can be given out as a gift for savings campaigns. Most adults have savings goals they are currently working towards. Whether they’re saving for a car, house or wedding, you can help them by providing them with a personalised money box. The perfect promotional gift for any finance campaign. 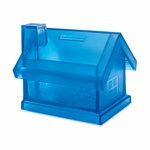 Can you supply fast delivery money boxes? Yes we have some money boxes on a five day service from artwork approval. This means that once you have signed off the artwork approval we send you, we can dispatch your chosen money boxes with an imprint brand within 5 working days. How can you get the money out? 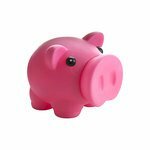 The piggy banks or money boxes we supply will have rubber or plastic plug or simply dismantle to provide access to the money inside. 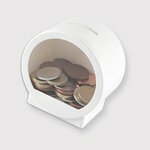 Can you manufacture custom shaped money boxes? 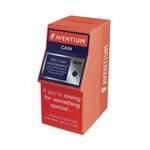 We provide a complete range of money boxes and can source further items through our supply chain. Sometimes clients need a custom design and one that is novel in that it has not been used for other marketing campaigns. This can lead to a more expensive unit cost and the need for a large manufacturing production run to achieve an economic unit cost but it is possible. 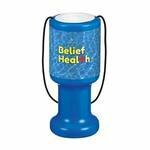 Please contact us if you need a money box not shown here or one made as a bespoke item.